New York - Consumer Reports says a Samsung phone that’s advertised as being “water resistant” actually isn’t. Consumer Reports, a non-profit organization that is well respected for its product testing, said Friday that it can’t recommend the Active because it doesn’t meet Samsung’s own claims. By contrast, Consumer Reports rates the S7 and S7 Edge phones as “Excellent” for their displays, battery life and cameras. 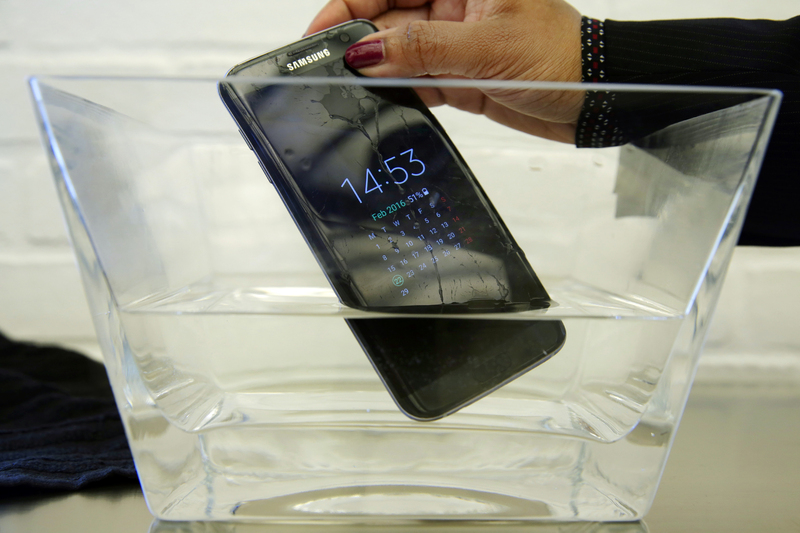 Samsung says all S7 phones, including the Active, are designed to survive in up to 5 feet of water for 30 minutes. Consumer Reports says that after a half-hour in water, the Active’s screen flashed green and other colors and didn’t respond to touch. Tiny bubbles appeared on the camera lenses. Consumer Reports tested a second Active phone to verify results and it also failed. Rerecich said it’s likely that the problems affect only some of the units manufactured, but “we bought two and they both failed.” Both units were bought online.